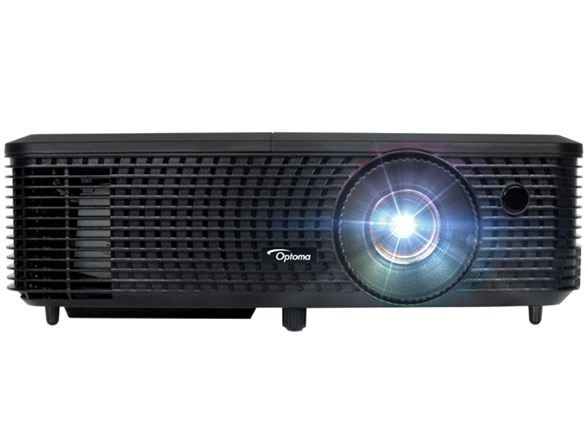 The Optoma X341 is the perfect XGA projector for small classrooms and small to medium businesses. Powered by 3,300 lumens and a 22,000:1 contrast ratio, the X341 impresses with an incredibly bright and sharp image, featuring rich color and deep blacks. Support for the sRGB color space profile enables rich accurate color based on the primaries of REC.709b HDTV specification when used with a PC, Mac, or any sRGB-compatible source. Wall Color Adjustment utilizes various gamma profiles to improve brightness on projection surfaces of varying color, while Edge Mask eliminates soft edges and jaggies on the border of the projection image to produce a smooth, consistent image. The Optoma X341 enhances any presentation with fantastic detail, vibrant colors, and sharp text. The X341’s extensive arsenal of connectivity inputs and lightweight chassis is perfect for meetings in the field or around the office.